It is daunting to get all the tasks done before vacation. I am leaving for my brother's wedding later today and also vacation after the wedding. All the laundry, cleaning, packing, vacuuming, washing dishes.... 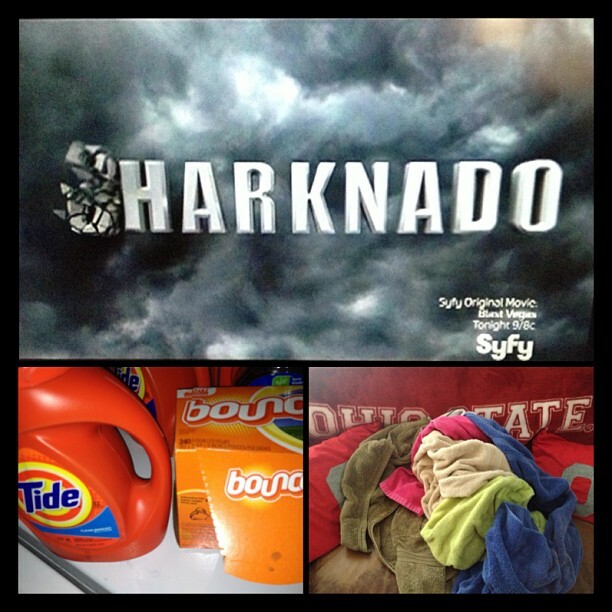 So what better way to spend the afternoon folding clothes than watching Sharknado. Boy was it rough!!! Now... I know it is a Syfy movie and it was not intended to be scientific at all, but it made Twister look like a PhD documentary. Entertaining? Ehh, sure. Good acting? Marginal. Plausible storyline? Not even close. Not a bad way to spend an afternoon while you are doing chores. I may try to check in via my phone while out of town, so be sure to check back in. Have a good one!